If you live in Houston and Grandma lives in Dallas, visiting her might get a little easier if Texas Central gets its way. Instead of driving three or four hours in traffic or fighting airport hassles, you'll be able to hop on a train and travel there in about 90 minutes. According to Texas Central, a private company hoping to develop and operate a high-speed railroad, the project would positively impact the economies of the state and local communities, relieve traffic congestion on I-45, and offer a convenient, clean, fun, and safe travel alternative. It would also provide infrastructure to meet the demands of the state's explosive population growth. Texas Central expects to begin construction in 2018 and claims the project would be done in an environmentally sensitive manner without using government grants or subsidies. Sounds pretty neat, huh? But to get to grandmother's house, you have to go over the river and through the woods, and the people who live along the route are not exactly welcoming the train with open arms. Opponents of the train make several arguments against it. They say the project is underfunded and will not be able to raise the necessary money to build and operate the train. They claim the market will not support it, and it will eventually fail or require government subsidies. They contend that it's a pretext for a land grab or that the land will actually be used for something else, such as pipeline or fiber optic cable. They are concerned about the effects of the train on existing transportation, emergency vehicles, drainage, and on use for grazing, farming, and hay. They worry about safety, and they are not excited about the jingle, the rumble, and the roar. Adding insult to injury, the train won't even stop and let them on, except for a potential stop in the tiny burg of Roans Prairie, about halfway between Huntsville and Bryan-College Station. To ride the train, they would have to drive there. More than anything, though, they don't want their land to be taken for the train, and they claim Texas Central has no authority to take it. Texans Against High-Speed Rail was organized as a coordinated effort by landowners and their allies to protect property, property rights and values, and the landowners' rural way of life from the negative impacts of the train. 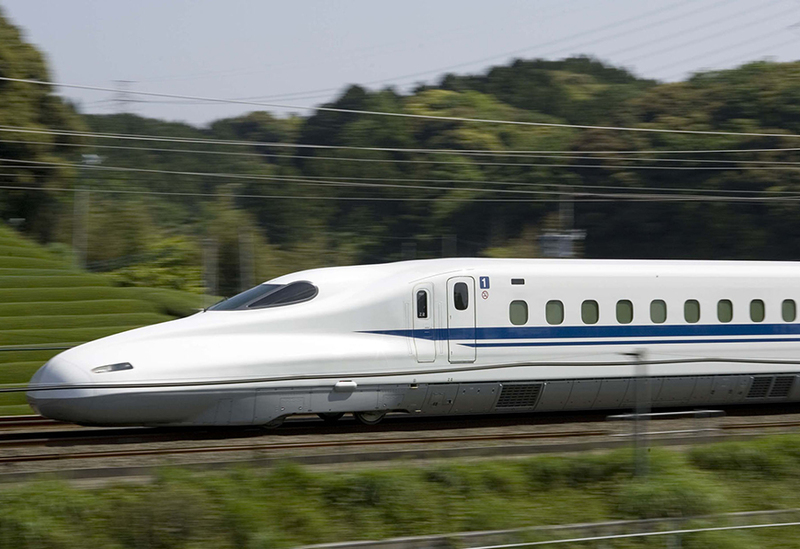 This isn't the first time high-speed rail proponents have looked at Texas. Texas lawmakers considered the possibility of high-speed rail in 1989 when a group of investors proposed a project. The legislature created the Texas High-Speed Rail Authority, making clear that the project, if it went forward, would pay its own way without the help of the state. Then, as now, it was a tale of the city mouse and the country mouse. Rural landowners were up in arms; city dwellers had a ticket to ride and didn't care. The prevailing opinion was that the creation of the railway would not be viable. After all, private passenger rail travel has largely disappeared in the U.S., and it must have done so for a reason. The idea was that the railroads and the airlines competed for the same customers, and air travel was an alternative that the market preferred. If rail became an alternative, it might result in higher airfares and fewer flights. On the other hand, if the train failed to attract passengers, it would require subsidies to survive. Some say the failure of the project was at least partially due to efforts by an airline to derail the project. Certainly many people preferred to keep their money and drive their personal vehicles, rather than fight through the stations or airports, only to need a rental car once reaching the destination. Ultimately, the project went off track after the company failed to put together the money. The High-Speed Rail Authority was abolished. When Santa brought my youngest a toy train this past Christmas, he moved the couch to set it up. Texas Central has to clear the way for its train, too. The big legal question in all of this is whether Texas Central has the right to take the property needed to build the railroad. The law calls this eminent domain. Eminent domain is the power of the sovereign (the government) to take property for public use without the owner's consent. In some cases, the power may be used by private persons or corporations who are authorized to exercise functions of public character. The process of actually taking the property is called condemnation. This is how we get roads, sidewalks, water supply systems, pipelines, and electrical transmission systems. The landowner, however, must be adequately compensated for the property taken. I have​ said elsewhere that the property of subjects belongs to the state under the right of eminent domain; in consequence the state, or he who represents the state, can use the property of subjects, and even destroy it or alienate it . . . for the sake of the public advantage; and to the public advantage those very persons who formed the body politic should be considered as desiring that private advantage should yield. But in order that this may be done by the power of eminent domain the first requisite is public advantage; then, that compensation from the public funds be made, if possible, to the one who has lost his right. If it sounds familiar, it should. The Fifth Amendment to the United States Constitution provides, "No person shall . . . be deprived of life, liberty, or property, without due process of law; nor shall private property be taken for public use, without just compensation." A similar prohibition applies to the states through the Fourteenth Amendment. According to the U.S. Supreme Court, "the law of eminent domain is fashioned out of the conflict between the people's interest in public projects and the principle of indemnity to the landowner." Over the years, state and federal courts have tried to figure out exactly how it applies. In the federal courts, the eminent domain power has been greatly expanded by broadening what is considered "public use." The most recent landmark decision was in Kelo v. City of New London (2005). The City of New London, Connecticut, at public expense, condemned a home owned by a local nurse to transfer it to a private developer for a project that was to include a hotel, marina, restaurants, shopping, and residences. The city claimed the new development would rejuvenate the economy of the distressed community. The U.S. Supreme Court prompted outrage on both sides of the aisle when it upheld the taking, saying that if the government believes it will generate more revenue, it may do so. Ms. Kelo's house was moved off the property and the city took over. The land sits vacant. The development never materialized. It failed for lack of funding. Under state constitutions and laws, states may not give less protection than the federal government; but they can give more. Many states, including Texas, made changes in their laws in response to the Kelo decision. The Texas Constitution (Article I, Section 17), after its most recent amendment in 2009, provides that property shall not be taken, damaged, or destroyed for or applied to public use without consent and without adequate compensation, and only for use by the state, a political subdivision of the state, or the public at large; or an entity granted the power of eminent domain under law. The 2009 amendment also clarified that public use does not include the taking of property for transfer to a private entity for the primary purpose of economic development or enhancement of tax revenues, and provided that the legislature's grant of eminent domain power requires a two-thirds vote of all the members elected to each house. Additional statutory reforms prevent the use of eminent domain to confer a private benefit on a private party, even under a pretext of public use. In addition to the public use requirement, case law requires that condemnation be actually necessary to advance that use. Federal rules require prior approval for construction and operation of a railroad, and provide for ongoing regulation of passenger rail. In April 2016, Texas Central asked the federal Surface Transportation Board (STB) for an exemption from those requirements. In July, the STB ruled that it did not have jurisdiction over the project because it would be constructed and operated entirely within Texas. This puts the question in the hands of Texas courts, to be decided in accordance with Texas law. There are two statutes by which Texas Central might claim to have eminent domain authority. The Texas Transportation Code provides that a "railroad company" may acquire property by condemnation if the property is required for certain purposes listed in the statute, such as the right-of-way, a roadbed, or the construction and operation of tracks (Section 112.053). Texas Central claims to be performing some of the purposes listed in the statute. Notably, however, performing those acts doesn't magically transform anyone into a railroad company. Texas Central must first be a railroad company before it may condemn for those purposes. Another potential route to eminent domain power is Section 131.011 of the Texas Transportation Code, which defines "interurban electric railway company" as a corporation chartered under Texas law to conduct and operate an electric railway between two municipalities in Texas. That section provides that such a company may exercise eminent domain powers the same as a railroad company and may condemn to acquire right-of-way on which to construct and operate rail lines, as well as sites for depots and power plants. An entity created or that acquired eminent domain power before December 31, 2012, is required to send a letter on or before that date, reporting that fact to the Texas Comptroller for inclusion in the Comptroller's Online Eminent Domain Database (COEDD) (Section 2206.101, Texas Government Code). The letter must identify each provision of law that grants eminent domain authority to the entity. If the entity did not submit the letter, the eminent domain power expired on September 1, 2013. The landowners point to the fact that Texas Central Railroad & Infrastructure Inc., the Texas Central entity seeking to exercise eminent domain power, was formed as TXHS Railroad Inc. on December 20, 2012, listing its purpose as conducting business activities related to the development, construction, financing, and operation of high-speed passenger rail service in the State of Texas. A letter complying with Section 2206.101 was sent to the comptroller on December 26, 2012. However, the letter only identified Chapter 112 of the Transportation Code; Chapter 131, applying to interurban electric railways, was not identified. In 2015, the company changed its name and its purpose, stating that its new purpose was to plan, build, maintain, and operate an interurban electric railroad. Even with proper registration, landowners cite the Texas Supreme Court's holding in Texas Rice Land Partners, Ltd. V. Denbury Green Pipeline-Texas LLC, for its holding that mere registration was insufficient for acquiring eminent domain power. They also say Texas Central failed to comply with other strict requirements of the condemnation process, such as providing a copy of the Landowner's Bill of Rights, prepared by the Attorney General. Importantly, the Texas Supreme Court has held that laws regarding eminent domain are strictly construed in favor of landowners, and that strict compliance is required. So if there is a close call, or if Texas Central fails to dot the i's and cross the t's, the landowners may have the upper hand. While Texas Central wants to move ahead with acquiring the land and building the railroad, landowners have another plan. When some landowners refused to allow Texas Central on their land to survey the route, Texas Central took them to court, and there are currently close to 40 lawsuits filed in at least six counties. The cases turn on the same issues: If Texas Central has authority to condemn the property by the eminent domain power, then it also has the authority to go on the property to survey it. This all comes back to whether Texas Central is a railroad company. So what's a railroad company? According to the Transportation Code, a railroad company includes (1) a railroad incorporated before September 1, 2007, or (2) any other legal entity operating a railroad (Section 81.002). The main inquiry, then, becomes whether Texas Central is "operating a railroad." Texas Central says it is. The landowners say no. The landowners say that just because a company calls itself a railroad doesn't mean it is one. If that were the case, they claim, then anyone could declare themselves a railroad and start condemning land against the owners' will. They say that a company with no right-of-way, no tracks, and no trains—and not enough money to buy them—cannot possibly be operating a railroad. If a person can't buy a ticket and ride a train, they contend, it's not a railroad, and it certainly isn't "operating." Texas Central's response is, "We've been working on the railroad—all the livelong day." According to Texas Central, it is doing all the things that anyone would expect a railroad company to be doing at this stage of its existence. After all, before it can buy trains or sell tickets, it has to put together the right-of-way. By engaging in preliminary and necessary steps, Texas Central contends, it is "operating a railroad." 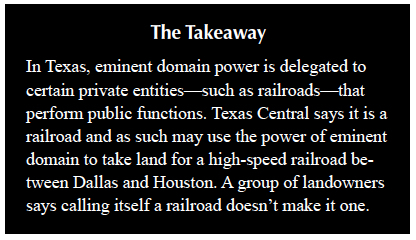 If that were not the case, it says, then only existing railroads could exercise eminent domain power, and Texas has declared itself off-limits for any new railroads. Texas Central has asked the courts to rule that it is a railroad company so that it may enter and survey the private lands it wants to use. It also contends that it must be allowed to conduct federally required environmental impact studies on the properties. In one of the many pending cases, Texas Central asked a district court in Harris County to rule that it was a railroad company with eminent domain authority and to require landowners to allow entry for surveying. On December 16, 2016, the request was denied. The court refused to find, without further factual inquiry, that Texas Central is a railroad company. It did not, however, rule that it is not a railroad company. That remains to be determined by a trial, which is currently scheduled for July. Even if Texas Central is found to be a railroad company, other legal battles loom. First, there would still be a required showing of public necessity. Second, in the absence of a certificate from the STB, who regulates high-speed rail in Texas? Texas Central says there is no regulatory body, so it does not need regulatory approval. Landowners say that can't be the case, and the legislature would need to reinstate something similar to the High-Speed Rail Authority. In the meantime, and in the absence of any further state action, local governments are getting in on the act. Texas Central may ultimately prevail, but it faces an uphill battle, especially at the county level. The condemnation process involves local landowners, local officials, and local juries, and landowners are getting help from their county commissioners. As an example, Grimes County will require a permit before the rails can cross a county road. Getting the permit requires a showing of eminent domain authority from the state or federal government. This is deemed to be necessary because of the impact not only on the landowners but on the state and county road system. The costs to go over or under the train are said to be astronomical. Train Bound for G​​lory? Or Nowhere? The battle lines are clearly drawn. Supporters of high-speed rail envision thousands of riders making an easy trip to see grandma and driving Texas' economic growth; opponents want to protect grandma's farm and prevent government spending on a failed business venture. 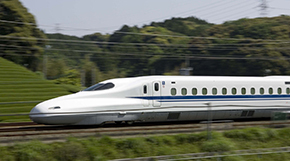 With numerous lawsuits and legal issues to be decided, only time will tell about high-speed rail in Texas. It may indeed get to the other side of the mountain. Or it may die with a hammer in its hand. Adams (radams@mays.tamu.edu) is a member of the State Bar of Texas and a research attorney for the Real Estate Center at Texas A&M University.